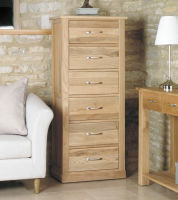 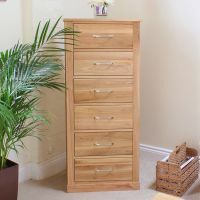 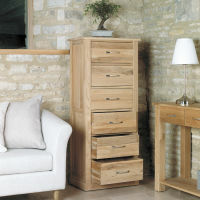 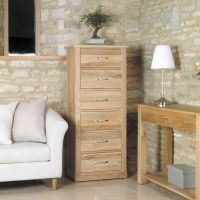 This Mobel Oak drawer tallboy is versatile piece of furniture which could be used for storage in the living or dining room or even the bedroom. 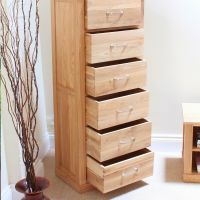 The tallboy has 6 solidly constructed drawers all made using dovetail joints and features panelled sides and steel coloured handles to add extra design detail. 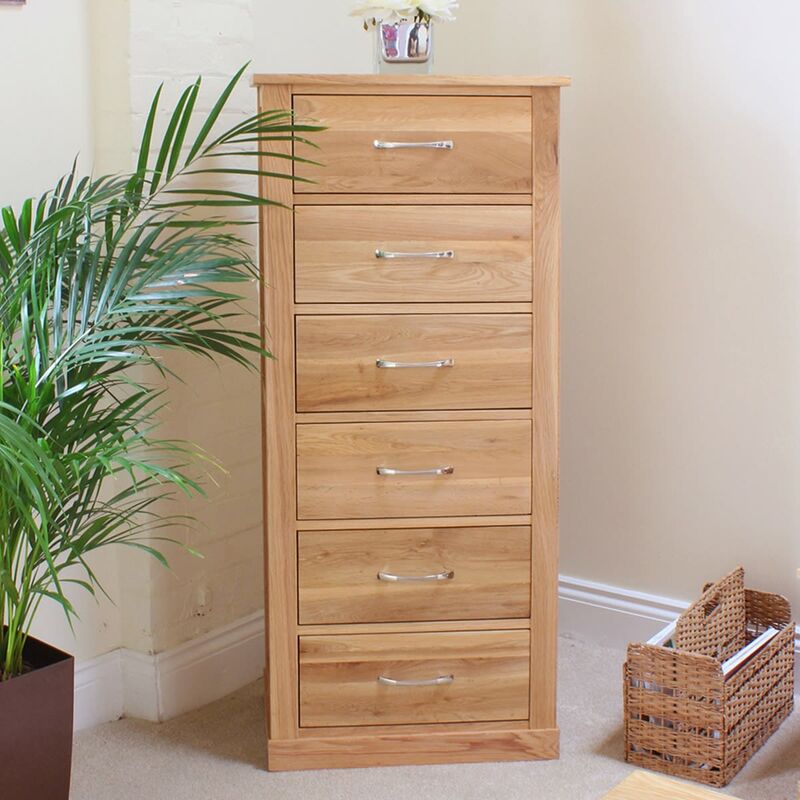 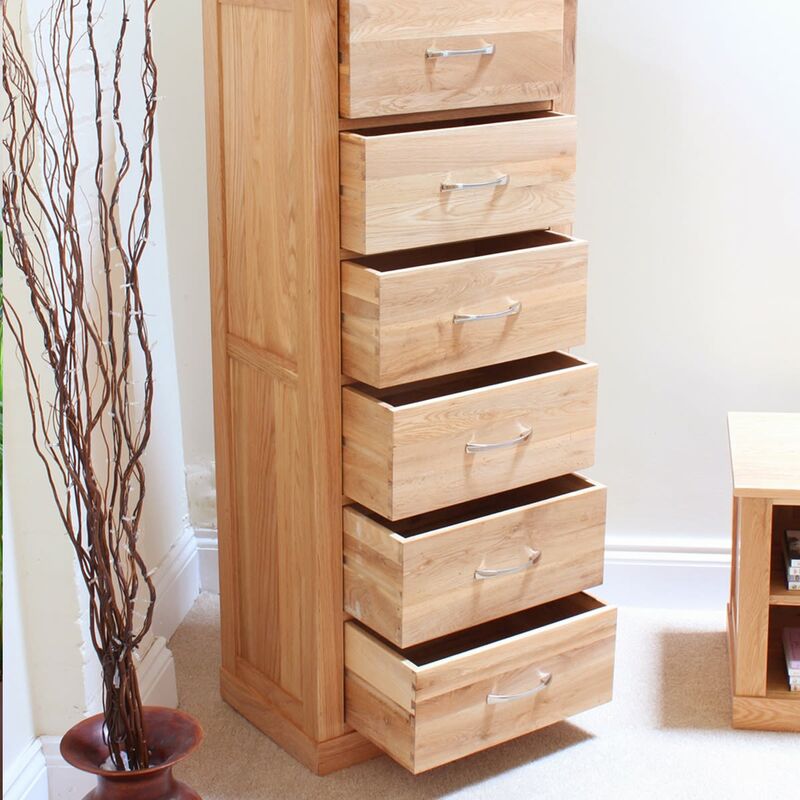 The Mobel Oak 6 drawer tallboy is delivered fully assembled. 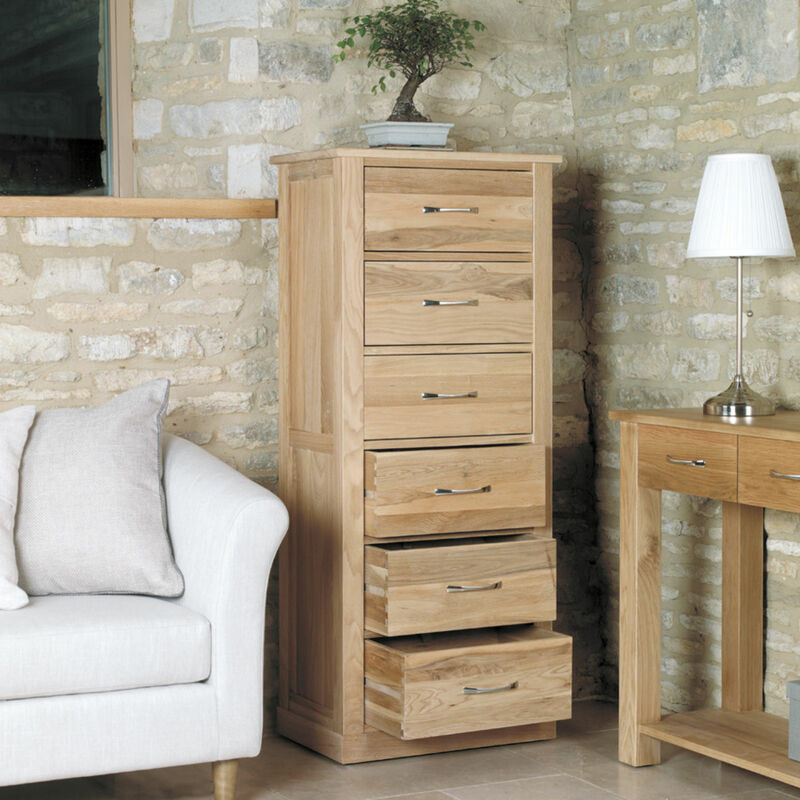 The Mobel Oak range includes items for each room of the house including coffee tables, television cabinets and dining room tables.